Mickey's Very Merry Christmas Party - a budget solution for short trip? I spent the holiday season of 1998 practically chained to a popcorn cart in the hub at the Magic Kingdom as I completed my College Program. Somehow this hearty New Englander had gone soft subjected to a hot Florida fall. I recall shivering while wearing a heavy winter coat standing beside my nut wagon in Fantasyland through much of December. Despite how odd it felt to hear holiday music with palm trees, it was such a unique experience to be in Florida at Walt Disney World on Christmas. It was special. 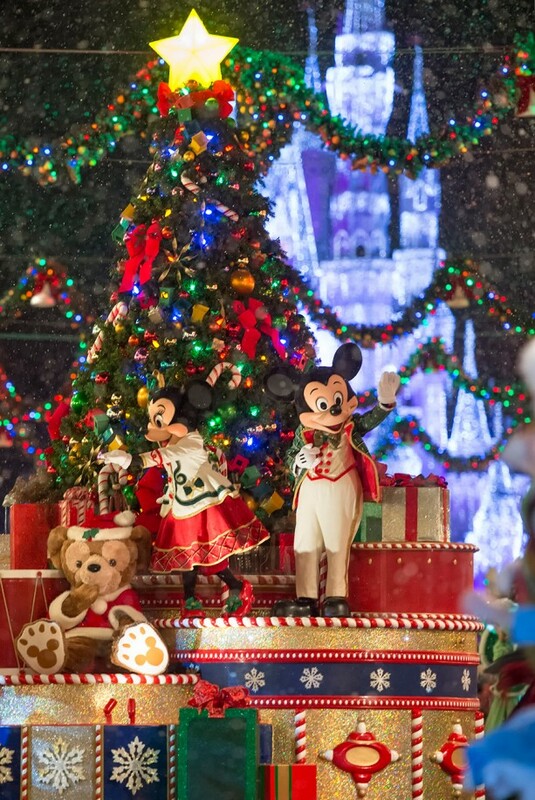 Mickey's Very Merry Christmas Party is offered during the holiday season beginning just after the Mickey's Not So Scary Halloween Party season and well before Thanksgiving, lasting through the Christmas holiday. Those guests visiting during the actual holiday week gain access to party events like parades and fireworks without needing to attend a party, though they will experience the heaviest crowds of the entire year. Tough trade off. 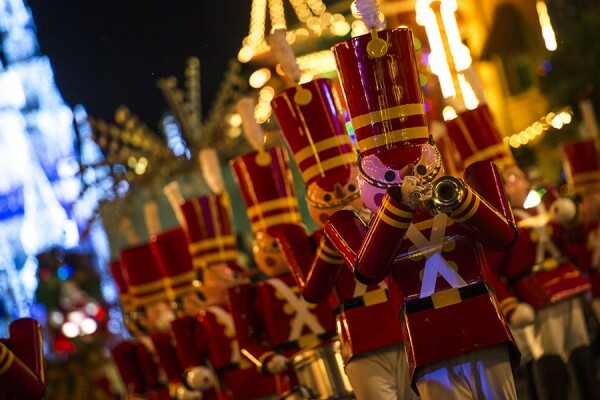 There are twenty opportunities to enjoy Mickey's Very Merry Christmas Party (MVMCP) in 2015. Some of these parties will sell out in advance of the party date, but bear in mind that the tickets are non-refundable and non-transferable. So be absolutely sure of your plans before you purchase your event tickets. How do these parties work? You purchase a separate ticket to attend these parties, which typically begin (officially) at 7PM and end at 12AM. You can gain entry to the park with your party ticket prior to the official start (usually 2 or 3 hours). Be forewarned that the crush of the day crowd and the party crowd together in the park can feel incredibly busy. Rest assured though that the park will definitely feel much less crowded once 7PM hits and the day crowds are politely shown to the exits and the special events of the evening begin. What is so merry about MVMCP? Snow falls on Main Street as a holiday parade with our favorite characters (and some friends like gingerbread men and toy solderiers) makes it's way TWICE down the street. Dreamlights make Cinderella's castle sparkle in the most spectacular way. Cocoa and cookies are complimentary. You can find special live entertainment and meet rare characters like all seven dwarves. Holiday Wishes lights the sky and did I mention the SHORT lines for attractions? Oh, and who can forget the big guy himself from the North Pole as the parade grand finale?? It is special and lovely and can be chilly (we were very, very cold), but it can ALSO be a budget choice for short trip. That's right, a money saver! For our trip, we were less focused on parks and more focused on holiday. We knew we wanted to dedicate an entire day to EPCOT (mostly in Germany, of course) and it just doesn't feel right to go to Walt Disney World without a trip to the Magic Kingdom. With just a long weekend, the park tickets were a large part of our budget. We had fancy meals to enjoy, tea to drink, and SHOPPING missions to complete. Though I would not recommend a first time visitor utilize this strategy, for a veteran looking to hit their favorites, have shorter than typical waits, and experience a lot of holiday magic, well, this could be a great solution to skim a bit off your budget. It definitely met our needs for our trip!